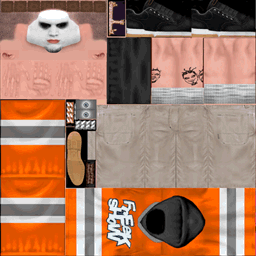 I've been digging alot through Backyard Wrestlings (Ps2) files recently and wanted to share what I discovered so far. The main file on the disc amongst the .pss and movie files is the GAMEDATA.WAD (670.220 KB). 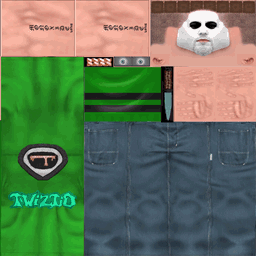 It contains all of the games assets like textures models and sounds. Using albinoleopards Bms script "BackyardWrestlingDTTAHwad.bms" I was able to extract a total of 1076 files. 867 being listed as Type: Data and 209 as Type: MESH-Data. The sound files were the toughest ones to obtain. I tried cubeplayer, raw import in audacity and MFAudio. I finally managed to get all the level based and character sounds by using the directory scan function in psound. Well that was my latest archievment. This is where I'm lost. 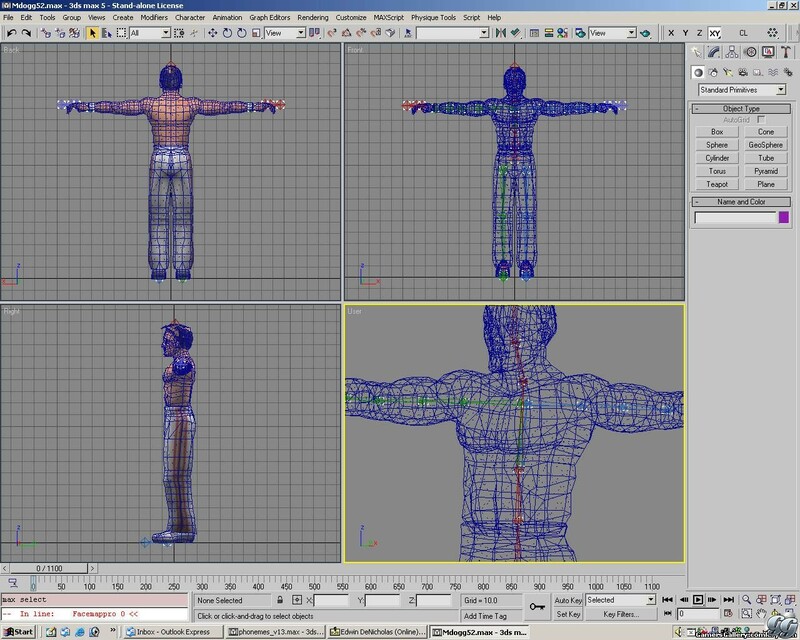 I used albinoleopards third script "BackyardWrestlingMeshto3dsUVbeta.bms" to convert all the .mesh files into 3ds files with uv-cords (excluding character models). The 3ds extraction results in even more files. I found out that Backyard Wrestling stores all 3D models used for a level in group-files (the .mesh files). Kind of funny that there is two versions of each the Mansion and the TV Studio with different file sizes. And that adds up to a total of 34 sub meshes in the character .mesh files (if there isn't anything else inside). Listening to the audio files shows a pattern. Every DATA file containing the audio got a character .mesh-file a number below (e.g. 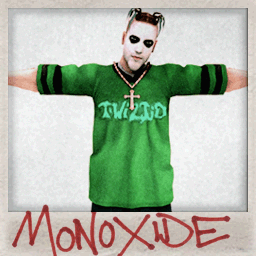 : 221 = MDogg20 audio so 220=MDogg20 character). That makes a total of 30 characters which matches the number of playable characters in the game. noticed a pattern? 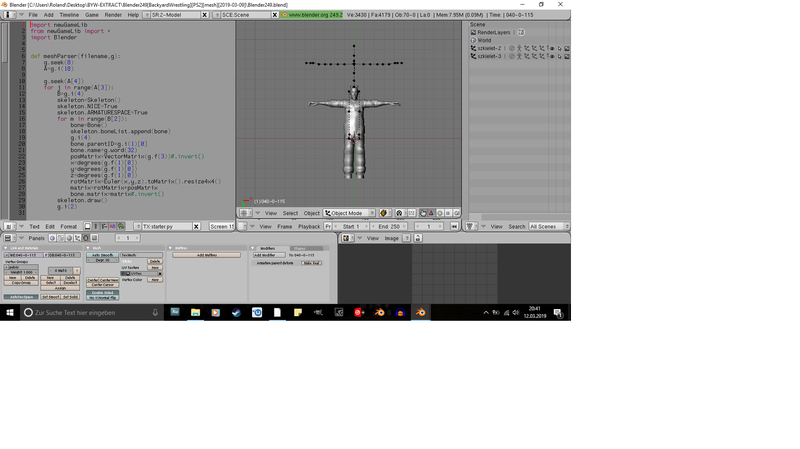 There is always 9 DATA files inbetween the character .mesh files (one of them being the sound file for each one). There is still some level specific characters that are not included in this structer that i listed (their sounds are within the DATA files for each level). Here I'm stuck....only other thing to mention is that the executable on the ps2 disc got file paths noted in it. So there might be a way to open the GAMEDATA.WAD with a game extractor using a custom script. Thats beyond my possibilities, though. I gave it a shot with model researcher but i couldn't get a point cloud. Playing around with the padding never got me into the pattern in which the vertecie cords are stored. Or maybe I was wrong.....can't tell. Thank you for listening, if you are still reading. I hope some of you appreciate the results and the work i put into this and maybe know a way on how I get my hands on them character models. 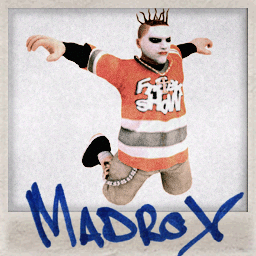 The BMS spripts by albinoleopard are attached at the end (since his site is down). 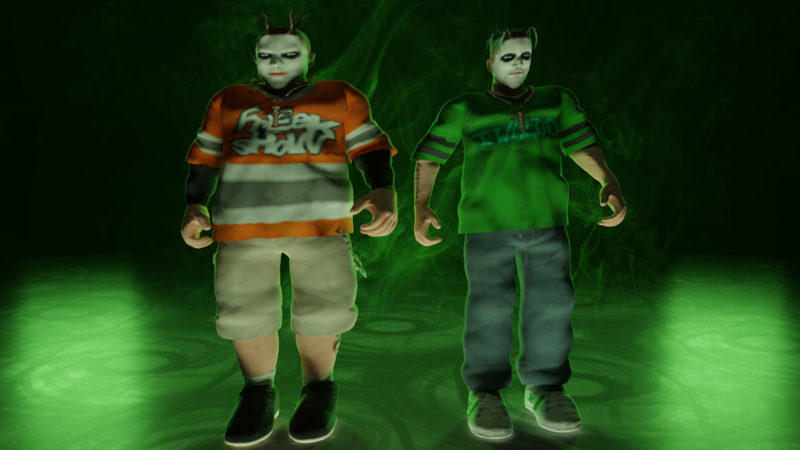 As a little bonus: here is a render i did with Twiztid via ninja ripper (you can see that there is issues with the uvs and I had to correct alot to make em look like this), the games main theme ripped (https://www.youtube.com/watch?v=RFp-Qmc ... qbk0h00410) and a screenshot of the square faced t-posed models i found on a website (uploader is not contactable either). Last edited by Henchman800 on Sun Jan 27, 2019 2:07 am, edited 2 times in total. Is nobody able to help me out on this? Henchman800 wrote: Is nobody able to help me out on this? PS2 formats are annoying in most cases so, 'yes', most 3D format analysers ignore them. Did you search for PS2 solutions in the forum that might shed a light on your problem? hopefully you guys can manage to extract some 3d data. Blend file to import mesh files with uvs ,bones and weights. Unpack archive, doubleclick on file "Blender249.blend" , press alt+p in Blender Text Window and import .mesh. Meshes are split by the same texture (uv mapping). Jesus Christ on a motorbike! Never worked with blender 2.49 before, i Joined with 2.79. Monoxides pivot point doesnt match the rig. Is there further steps to do in order to do the right parenting with the rig?